...aaaand now we are on Indiegogo! Take a look! 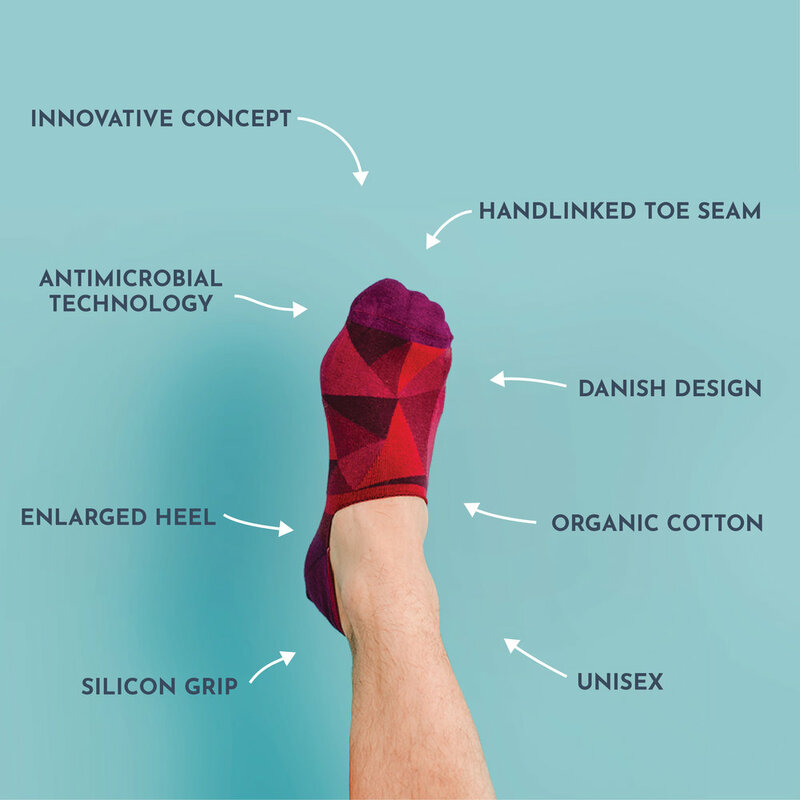 Our Solosocks are now on Kickstarter! Click to see our story! My acting carrirer is taking off! Started working for URU Solosocks in January designing socks and packaging! I LOVE IT! The concept is that you don’t need to pair your socks anymore. The socks are sold in group of 7, none of them exactly the same so you just grab any 2 of them and put them on. This is me on the right -> wearing 2 of my 7 socks of VanDyke. This baby is in the printing press right now! 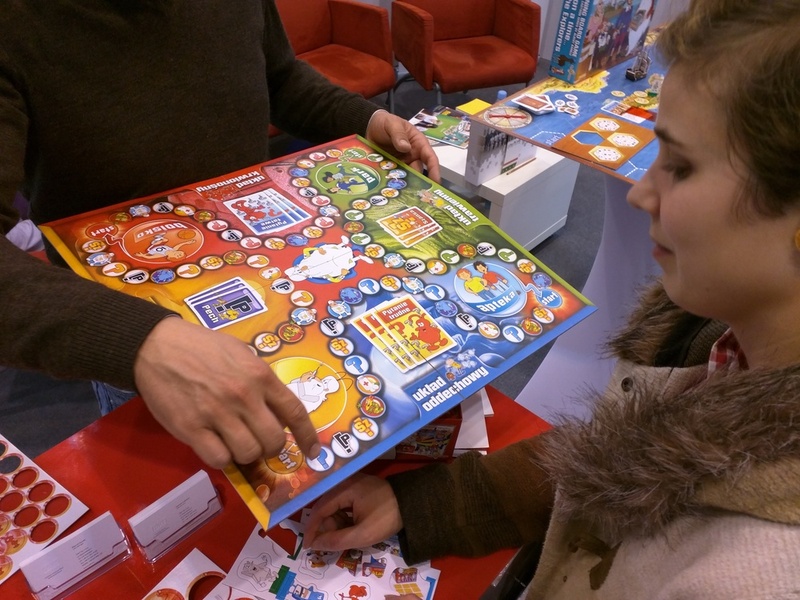 Started doing the graphics in 2013 (then the game was called WonderWars) and now it's finally being funded so that UNESCO can print it for all school children in Denmark. Can't wait to see it in real life! I drew some characters for four different ice creams. They were licorice, pistachio, hard candy and mint-chocolate. Did some extra drawings for the Langoustine Restaurant. My kid was having fun at the playground with this awesome tricycle. And I had fun in photoshop later that day. Both win! This is my boy. His name is Skuggi. It means shadow. Our friends were getting married and our group of friends decided to give them our best recipes. I made the layout and the illustrations right before my due date so I was a bit pressed for time but I managed! I only have a few days till my due date! Off to maternity leave! I bought this pastel colored Hemnes drawers second hand. I didn't liked the look of it so I decided to do some upcycling (and I also needed a changing table for my unborn child). First draft for a board, it's a co-operative game where player try to keep a (very unlucky) body alive as a team. I'm now working on graphics for a travelling restaurant. It's a hard job since I'm crave langoustine all the time while working! I was asked to illustrate a scene from a cult movie for a series of post cards. From the list of cult films the movie Edward Scissorhands jumped at me, an old favorite of mine. I loved drawing it! I just came from Essen! I met loads of awesome people and handed out so many business cards. 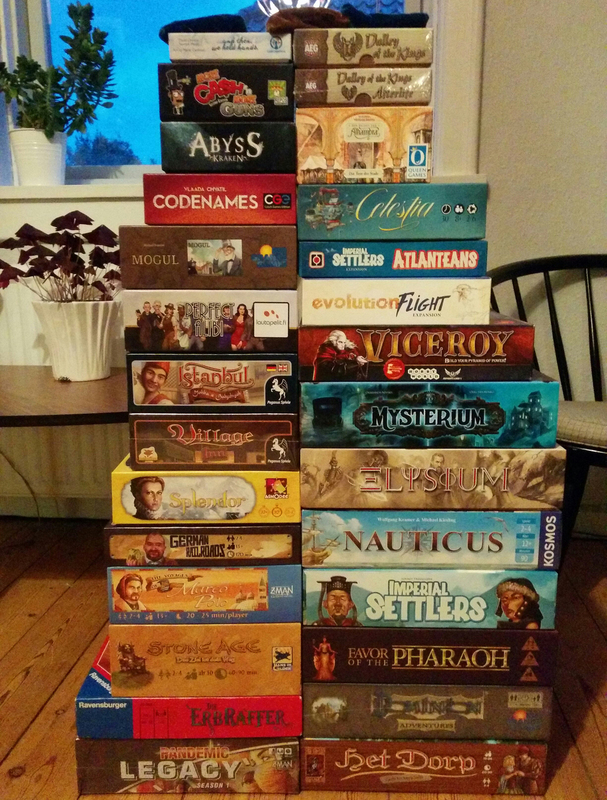 We bought 31 games! Yikes! Looking forward to play them!